This book explains how computer software is designed to perform the tasks required for sophisticated statistical analysis. For statisticians, it examines the nitty-gritty computational problems behind statistical methods. For mathematicians and computer scientists, it looks at the application of mathematical tools to statistical problems. 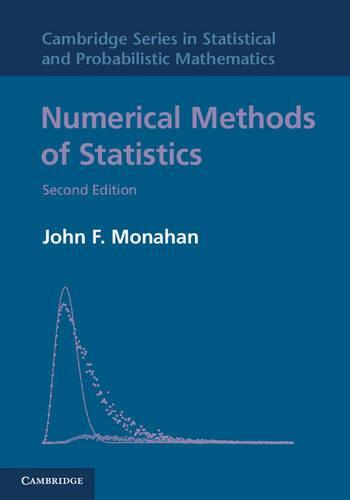 The first half of the book offers a basic background in numerical analysis that emphasizes issues important to statisticians. The next several chapters cover a broad array of statistical tools, such as maximum likelihood and nonlinear regression. The author also treats the application of numerical tools; numerical integration and random number generation are explained in a unified manner reflecting complementary views of Monte Carlo methods. Each chapter contains exercises that range from simple questions to research problems. Most of the examples are accompanied by demonstration and source code available from the author's website. New in this second edition are demonstrations coded in R, as well as new sections on linear programming and the Nelder-Mead search algorithm.